Diclofenac is used in the treatment of pain or inflammation due to arthritis or ankylosing spondylitis. Diclofenac is used to treat pain or inflammation associated with arthritis or ankylosing spondylitis. It might also be used in other cases. You may choose to take Diclofenac with a meal or without one. 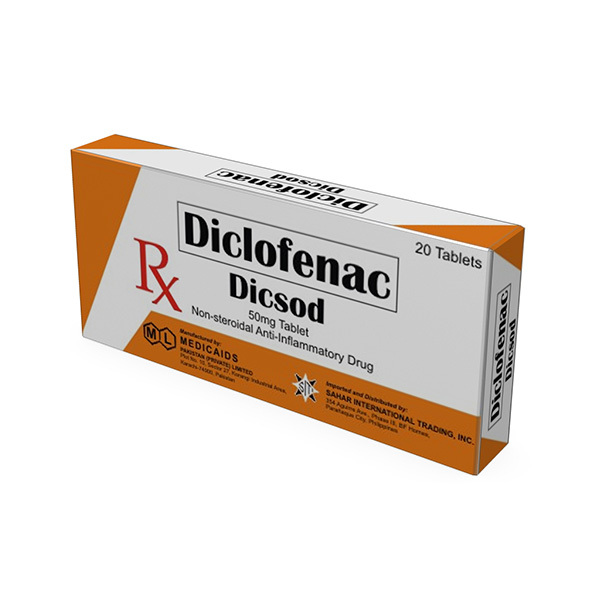 Diclofenac is classified into a group of nonsteroidal anti-inflammatory drugs (NSAIDs). It helps to reduce the pain and inflammation by reducing the hormones that cause them. Store Diclofenac at room temperature between 68 and 77 degrees F (20 and 25 degrees C). You may also store it at 59 to 86 degrees F (15 to 30 degrees C) for a limited time. Always keep it in a cool dark place that is not directly exposed to sources of heat or moisture and sunlight. Protect it from kids and pets. Doctors advise against using Diclofenac if you are allergic to any ingredient in it or if you have conditions like severe allergic reaction (e.g., severe rash, hives, breathing difficulties, dizziness) to another NSAID (e.g., ibuprofen, naproxen, celecoxib) or aspirin. Discuss your past/current medical history in detail with your doctor before beginning treatment with any new medication. If you are using any other nonsteroidal anti-inflammatory drug (NSAID) or diclofenac containing medicine then mention it to your doctor. Diclofenac may increase the risk of getting dizziness or drowsiness. This risk greatly increases if you combine it with alcoholic beverages. So please avoid them while using Diclofenac. Also, avoid undertaking any tasks which require mental alertness (driving, handling heavy machinery etc). The use of the drug in children is not recommended as its safety when used on children is not determined. If you are expecting a child or are planning to have a child in the near future, then consult your doctor before using Diclofenac to discuss any possible threats to the unborn baby. If you are a nursing mother and breast feed your baby, then too, seek consultation before using Diclofenac as some drugs are excreted in the breast milk and may enter the baby.